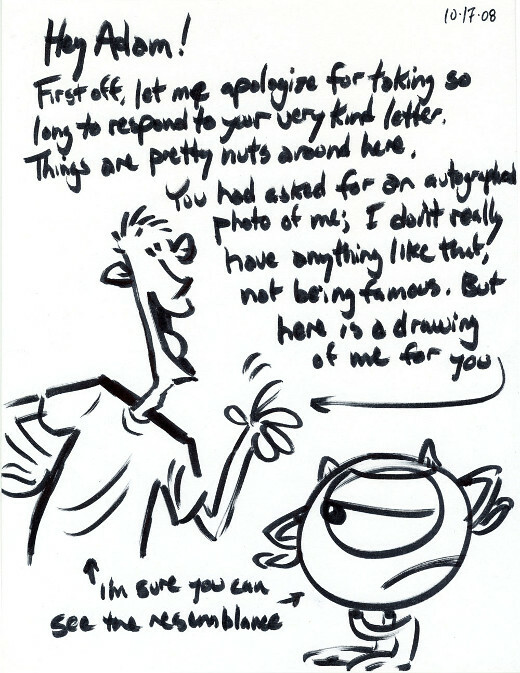 Here is what I received from Pete Docter, one of the most influential and important people at Pixar, the best animation studio on the planet. Transcript follows. Many thanks to Adam for allowing us to feature his letter. 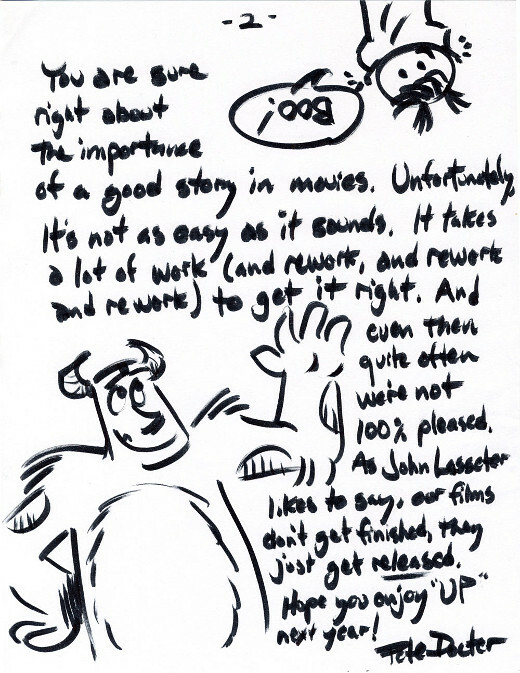 Be sure to check out his blog, Disney, etc. Recommended Reading: The Art of Up.